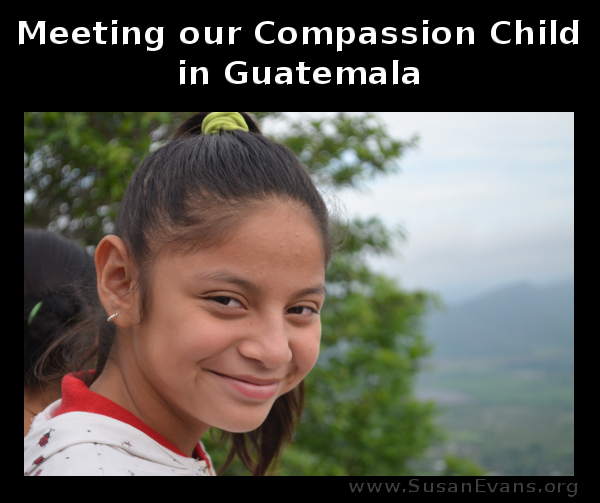 The highlight of our trip to me was visiting our Compassion child in Guatemala. That’s saying a lot, because the nostalgia of seeing all the places where I grew up was wonderful and healing to my soul. The entire trip helped me to remember who I am, and that God has been good to me. We stuffed everyone into our van and went up a steep mountain. The dirt road was full of rocks and potholes. I was glad it wasn’t raining, as the van would have gotten stuck in the mud. 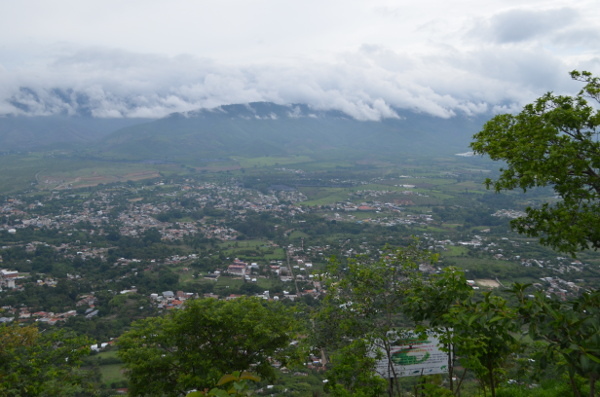 When we arrived at the top of the mountain, we looked out over the city of Salamá. It was truly beautiful! 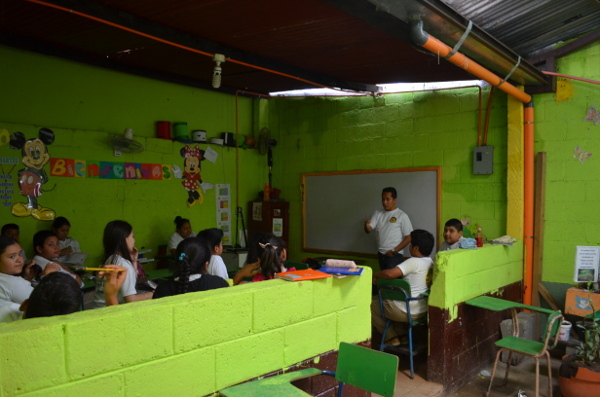 We visited the school where the Compassion child gets Christian instruction. It was fun to see the other children waving at our camera. You can see the poverty of that area even in the school. Our Compassion child’s favorite food is fried chicken, so we went to Pollo Campero, as you can see in the video. This is a famous Guatemalan fast food place, and one of my favorite places to eat! We also went to a nearby town so that we could take a ride on a tuc-tuc. 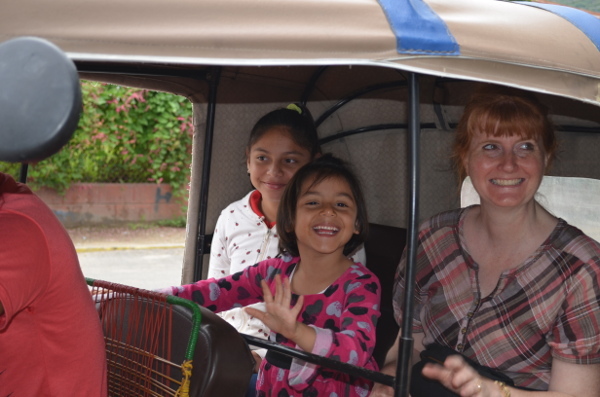 I filmed the ride around San Juan, and the child with her sister were thrilled! 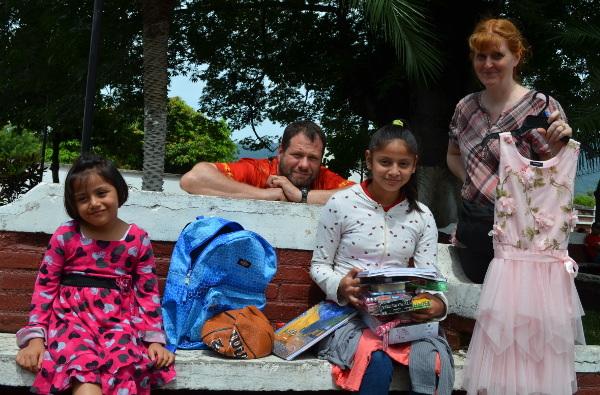 We gave the Compassion child a backpack full of goodies: a Spanish Bible, a dress, a basketball, a journal, some stickers, a bookmark, a sketch book, a hair brush, a toothbrush, hair clips, etc. Her mother was truly grateful and choked up with tears. I had plenty of time to get to know the mother of the child, and I love her so much! 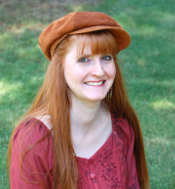 She is a Christian who believes in answered prayer. If you would like to support a child and make a difference in someone’s life, I highly recommend Compassion International. 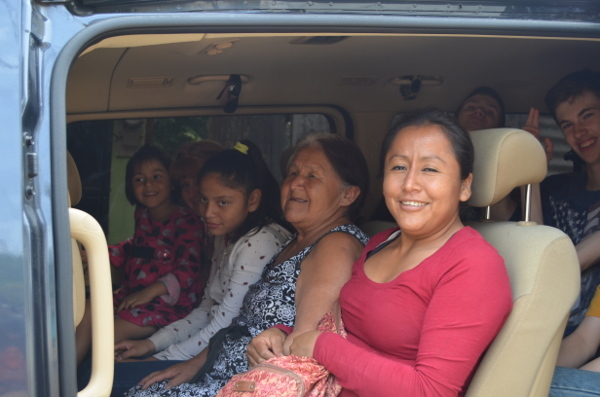 Don’t miss any posts in my Guatemala Adventure series! Follow my Missionary Kid page to see more videos and pictures from my recent trip! This entry was posted on Monday, July 31st, 2017 at 7:23 am	and is filed under Travel. You can follow any responses to this entry through the RSS 2.0 feed. You can skip to the end and leave a response. Pinging is currently not allowed. You guys looked like you had a lot of fun – and she is beautiful! It was a truly wonderful visit that we will all remember for a lifetime! How special that you finally got to meet her! Sounds like a truly special experience for all of you! It was! We pray for her family all the time right before bed. It’s fun to be able to picture where they live now. So cool. I have dreamed of doing that. Some of my Compassion children are all grown up now! How wonderful to have made an impact in the lives of each one of them! How wonderful and what a blessing you have been to this child and her family. I think God has given you such a heart so full of compassion and love. I have very much enjoyed seeing your adventures and think it is just awesome what you have given to this child. God definitely matched up our families, and our hearts have been woven together. I had never heard of a Compassion Child. I love the idea of supporting a child where they are, but ministering to them in Christ. Compassion International is one of the best Christian organizations. They really do help the children in poor nations, ministering Christ to them, and there are hardly any administrative costs compared to other missions organizations. What an amazing experience! Growing up my family supported a number of children with modest monthly donations through World Vision. We’ve largely shifted our focus onto other things now, but I still remember all the pictures we received and all the little toys and goodies we sent overseas. I think it’s amazing that you’ve been able to have a much greater level of involvement! I never imagined that I would be able to visit the family that we supported by going back to the country where I grew up. God supernaturally supplied the money that we needed to go at the last minute, and I am so thankful for the whole experience. Wow! What an opportunity. 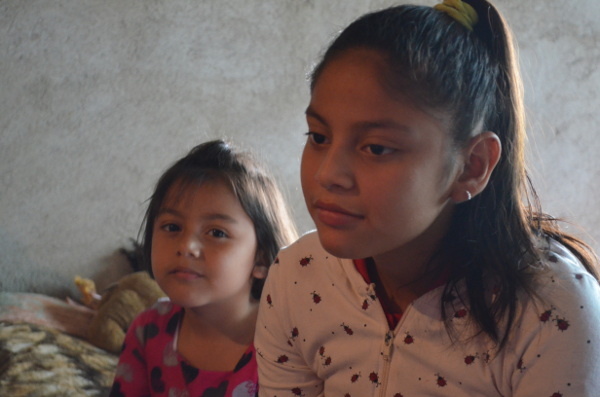 That is absolutely wonderful that you were able to meet the child you sponsor and her family. That is so special. I’m so glad we got to meet her and the family. My kids also were able to see how many people live in poorer nations. It looks like you had a great time in Guatemala. I just visited the link. #CompassionInternational is worth checking. Hat’s off to their great work. They are a great organization, and they are making a difference for Christ.